I love cooking pork chops. 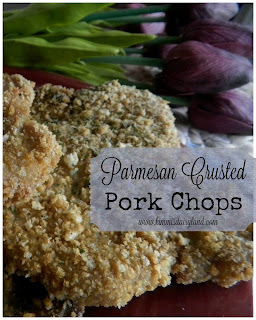 If you are looking for a new recipe, you will love my Parmesan Crusted Pork Chops! This was a family favorite when I was cooking for everyone over Christmas. It's easy and it tastes SO good. I used to cook the same two or three things all the time and quite honestly, I was bored with it. I made chicken a lot. I ate salads a lot. That was about it. My blog and my blogging group encouraged me to step it up in the kitchen and inspired me to be a better cook. There's no turning back now. Spring it just around the corner, but it's still snowing today. Days like that make me want to stay inside where it's warm, but on a farm, that's not really an option. If it's a crop farm and there's not any livestock, you may be able to spend time inside, but there's usually always something to do. Livestock need to be fed and cared for every day, regardless of the weather. Much like people. They don't hibernate just because the weather isn't ideal. For more about how farmers care for their cows during this snowy weather, click here. One of my old friends from high school is now a journalist and was interviewing me about farming and fashion last month. She kept asking what I wore when I was Dairy Princess, what I wore when I was showing my cows at the fair, what I wear when I'm in the barn with the cows, what I wear when I go out, etc. I wouldn't consider myself a fashionista at all. 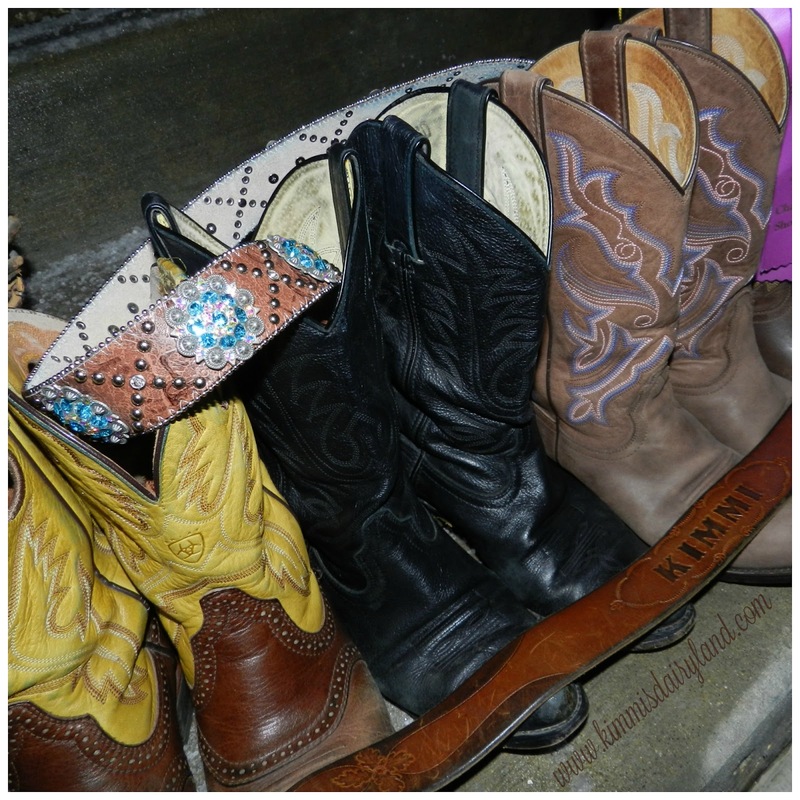 I do love my sparkly, blingy belts and belt buckles and my cowboy boots. I don't wear these beauties to the barn, but I wear them just about everywhere else. Since she brought it up, let's chat about what to wear when caring for cows in the winter. Carhartt coveralls or insulated bib overalls are amazing, insulated barn boots are a must to keep toes from freezing, a warm jacket, warm gloves, lots of layers and most importantly, clothes that you don't mind getting dirty. It's a farm. At some point, you'll probably get mud, manure, water or something else on your clothes. Never wear good clothes on the farm. Save those for a night out on the town with those cowboy boots and blingy belts. Fashion isn't exactly top of mind when picking out clothes for chores. Comfort and practicality is. Cows don't care what I'm wearing, as long as I'm feeding them, milking them and taking care of them. Milk is flowing on a dairy farming regardless of temperature, weather conditions or vacation plans. Speaking of milk, I love that the Parmesan cheese makes this a dairy recipe! To check that it's done, I always cut one open at 20 and 25 minutes to avoid under and over cooking them. If you use a thicker cut of pork chop, you will need to cook them longer. Since I do a lot of canning in the summer, I paired the pork chops with homemade apple butter and steamed broccoli. Delicious! These look delicious! I know my family will love them!